Sohbat of the 29th of September, 2013. Go ahead, O Shah Mardan. Poor servants are waiting at your door. They want to be dressed in the honor of the honored day. They want to find its goodness. Today Hujjaj-i Kiram (honoredHajjis) turned their faces towards the Ka’aba-i Mu’azzama supplicating Labbayk (Here I am). May we be with them inshaAllah. Noble pilgrims are turning towards Ka’aba-i Mu’azzama. MashaAllahu kana wa ma lam yasha’ lam yakun. May Allah include us together with them. Let’s say Bismillahi r-Rahmani r-Rahim. Bismillah Sharif, Bismillahi r-Rahmani r-Rahim. It opens the doors to all goodness – Bismillah Sharif. May wehave a share of it, too. Go ahead, O Shah Mardan. Welcome to these beautiful days. May we reach them, too. May our fellows, our children reach them. Go ahead, O lovers of Shah Mardan. Twelve months. Each has its own favour. May we reach it with goodness. May we reach it with health. May we reach it with the Hujjaj-i Kiram. May our day be blessed. May we be clean inside and outside. Angels descend from heavens, angels ascend from earth. The Hujjaj-i Kiram turned towards the Ka’aba-i Mu’azzama, supplicating Labbayk. May we be dressed in the adornment of honor. Let’s say Bismillahi r-Rahmani r-Rahim – This is the dress of honor. The dress of honor for the sons of Adam is, Bismillahi r-Rahmani r-Rahim. O our Lord, Our Subhan, our Sultan. Mu’azzama, may we turn as well, may we get relief, may we open, may our souls be filled with relief. Allah Dhul-Jalal wa-l Jamal wa-l Kamal, may He include us as well. May He include us among those turning towards the Ka’aba. May descending mercy come upon us, too. May our way be the way of Truth. May it be the relieving way. O our Lord, may we remember Your Glorious Names. May we find strength, may we be dressed in majesty. What shall we do? Who is destined will go. Innama l-‘a’malu bi n-niyat. (Whatever you do is based on your intention.) Everyone’s deeds are according to their intentions. What is our intention? 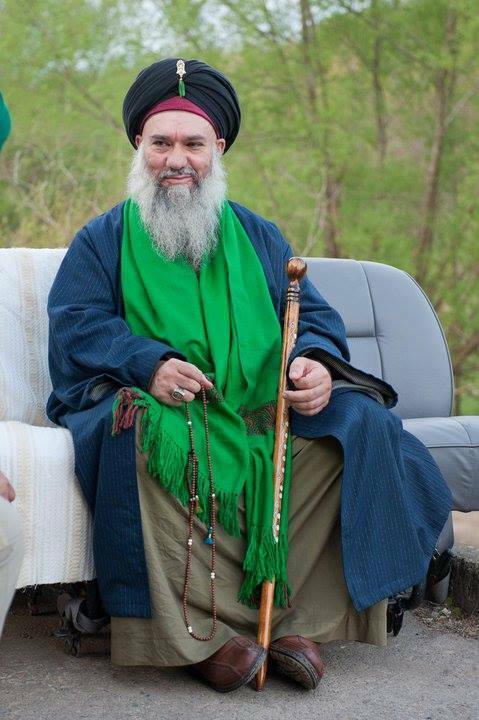 Servanthood to Janab-ul Mawla. For servanthood to our Lord. May our day be happy, happy. May it be beautiful. “Ask from Me. Ask from Me. All your wishes will be accepted. How many people from the nation of Muhammad ran towards the Ka’aba-i Mu’azzama! O our Lord, we are running for Your command. Give us strength. On the way of worshipping You, give us strength. What shall we ask from our Lord? We ask for strength to worship Him. To run for worshipping Him, we’re asking for strength from Janab-ul Mawla. Who reveres the Ka’aba-i Mu’azzama will be revered. Who respects the Ka’aba-i Mu’azzama will find respect. He’ll find glory, honor, strength. O our Lord, we are Your weak servants. May our Mawla who strengthens weak servants, who gives strength to weak servants on the way of worshipping Him, give us strength, too. O our Lord, dress us in the beautiful adornments You dress the Hujjaj-i Kiram at theKa’aba-i Mu’azzama. Kiram, ya Rabb! May the one saying Allah today drink the wine of love, O my Lord! May we be among those saying Allah. How beautiful those saying Allah are! The field is yours. Welcome. Let us drink the wine of love. All the prophets walked around the Ka’aba-i Mu’azzama built, made by the Prophet Ibrahim. They said “O our Lord, We came to circumambulate this House of Yours!” And we ask to be filled with Your love. Grant us good servanthood, O my Lord! O our Lord! O our Lord! The deeds of a man are according to his intentions. Keep your intention right, don’t fear. Allahu Allah Allahu Rabbi Ma li siwahu. The Ka’aba-i Mu’azzama is 5,000 years old, isn’t it? It’s open for 5,000 years. It’s open for all of the nation of Muhammad. Ask – Dress us in the adornment of mercy, ya Rabbi. O Shah Mardan, your lovers adore you. How beautiful! How beautiful it is to walk around the Ka’aba. How nice it is to run towards our Lord. How beautiful it is to run towards the command of our Lord. The world – If it were without the Ka’aba, what would be its value, O our son? What value would it have? What is the value of the world, if there is no Ka’aba? Allah says it’s the Baytullah (the House of Allah). So much has come and gone from this world. So many lovers have come and left this world. They cried and asked: “We want to see it, too.” May those saying ‘Allah’ today drink the wine of love. Say Allah! All prophets, from the beginning, all of them said Allah; they called for Allah. O our Lord, may the supplication of Your Glorious Names continue in our hearts, ya Rabbi. Allahu Allah. Allahu Allah Allahu Rabbi ma li siwahu. Wake up. Let us wake up. Let us wake up, O Shah Mardan. Let us wake up let us wake up. Azamatuhu wa la Illaha ghairuhu. Let us say My Lord. Our Lord is Allah. Our glory is with saying Allah. Let us ask for it. O lovers, O those surrendering their souls to their Lord, what do you live for? what is the value, if you don’t say Allah? What’s the value of life, if you don’t say Allah? What else does it have, Haji Mehmet? If they don’t say Allah, they are worthless rubbish. Let us say Allah, ya Hu. What sufferings lovers have gone through. What they asked for from their Lord, what they asked for. 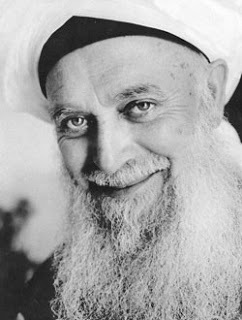 Ilahi Anta Rabbi. (You are our Lord) Ilahi Anta Matlubi. (You are our desire) Ilahi Anta Maqsudi. (You are our goal). O our Lord, may our souls expand, may we be glad. May we be loaded with the relief of the bliss of Your love, ya Rabbi. May we get relief, may we find relief, when we say Allah. May Allah who raises the sun, give us the light of faith and love. Let’s say Allah Allah Allah who doesn’t say Allah is dead. Who says Allah is alive let us be alive. Let us be clean, O lovers of Shah Mardan. MashaAllahu kana wa ma lam yasha’ lam yakun. Allah. What Allah wants, happens, what He doesn’t want won’t happen. Let us ask from our Mawla. Let us ask from our Mawla so that He gives from His love. May our Mawla revive us with love. All prophets, all prophets said Allah and got full. They got loaded with divine love and became full of it. If they don’t say Allah, what’s their benefit? Rubbish. O Allah raising the sun every day, how beautiful, how beautiful! Let us say Allah, let us run towards Allah. How beautiful! Don’t run towards dunya. Run towards Allah. Our souls are under Your command, ya Rabbi. They are sacrificed on Your way, ya Rabbi. May we live for Your love, ya Rabbi. Allahu Allah Allahu Allah Allahu Rabbi ma li siwahu Hu. This is the task of the day. Hu. Saying Hu. Allah Hu. O lovers of Shah Mardan. may we be loaded with relief. May Janab Allah fill us with relief. May He fill those walking around the Ka’aba with relief. Ask for relief, Sheikh Mehmet Efendi. Ask for relief, don’t ask for sadness. Don’t ask for sadness, ask for relief. Ask for relief from Janab-ul Haqq. He created us, He created us beautiful. He made us busy with supplication and reason. What should our task be? Let it be – saying Allah. O our Lord. May our hearts be glad together with you. May our hearts be relieved. O our Lord. Let us say: Ya Hu. Shukr to Allah for letting us reach this day. Our Mawla can make us reach even better than this. He removes all sadness from our hearts. He gives relief. May those saying Allah enter the rose garden of paradise. May those saying Allah today enter it. May those saying Allah today enter. Don’t fear! Say Allah and don’t fear. What shall we do? Slowly, slowly, slowly. It’s not easy. It’snot easy to be filled with the Divine Love. It’s not easy to walk around the Ka’aba with that love. It’s not easy to say Allah with that love. May our hearts be filled with Divine Love. Illa Hu. Fatiha. Allah Allah. Hu, our Lord. They made us tell a few words on these holy days. May our hearts open and be glad. May they be filled with relief. May our day be good. May our deeds be good. May our way be honored.